Poker is a popular, growing sport and this game is here to last. Based in Los Angeles, American Gaming Supply is a wholesale distributor of casino and gaming supplies. As a continually growing company, we are setting our mark in the industry. 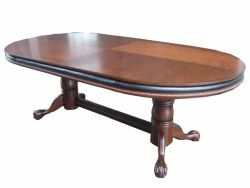 We offer a wide range of affordable furniture, poker tables, and accessories. With low prices and excellent customer service, American Gaming Supply has grown into the ideal one-stop source for casino and gaming supplies. We offer superior quality furniture and supplies. Choose from a wide selection of styles, colors, models, shapes, and sizes of tables and chairs. Whether you are looking for large Texas holdem tables, a hot blackjack top, exclusive roulette tables, or the infamous craps table, we have the idea furniture, poker tables, and tops for you. When purchasing with American Gaming Supply, you can know that you are buying only the best. We offer professional products and custom casino poker chips and sets. We can design chips and sets with your company logo, family pictures, or any other personal images. Our incredible line of custom clay poker chips is the true mark of how we are dedicated to our customers. We will use your design or create a custom design, implement, and print your chips. Stand out from the crowd with our custom clay poker chips. With a slogan of "What happens here, you'll tell your friends", you know we are proud of our products and service. We are truly dedicated to turning all of our customers into repeat customers. We want our clients to continuously be impressed by our professional products and service. American Gaming Supply is a distributor of discount and wholesale poker supplies. 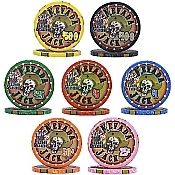 In addition, we also offer custom casino poker chips. With guaranteed and expedited shipping services, you can turn Friday night into the best game night yet. We invite you to browse through a list of our comprehensive articles to learn more about our great products with low prices.